Jim Grandone provides insight into how your business can get the attention it deserves in a crowded media marketplace. Whether you are looking to promote your law firm, hospital, manufacturing enterprise or a new, start-up company, Jim’s extensive background and relationships with news media decision makers will have a positive effect on your bottom line. How do you get your organization to get recognition in a crowded field with so much competition and so many media outlets? Jim knows the strategies and techniques that work to get people talking about your company or organization. He will show you how to capitalize on news stories, awards and media attention Jim has the experience to show you how to communicate with your customers and prospects about what you offer and why they should stay with you or choose you during good times and bad. Merchandising traditional news stories can give you the internet presences you need through your Web site, links to customers and industry sites, and into social media where you will reach the world with your message. The array of enterprises he has helped range from banking, healthcare and national politics, to steel manufacturers, radio & television executives and not-for-profits. Not all news is good news and people make mistakes. That is why Jim offers a full-service crisis communications services group to plan before a crisis hits or to minimize damage to your company and its stock after the disaster has occurred. From bomb threats to commercial airline disasters, Jim has been there for his clients, advising them the right thing to say on CNN, HLN and national business newspapers, as well as the right words to use with workers, stakeholders, and both the courts of law and courts of public opinion. He can help you assemble an internal crisis team; develop a communication plan with a clear strategy, key messages, and immediate communications to disseminate information quickly to all concerned parties. Jim is a graduate of the University of Illinois at Springfield and the Coro Leadership Center – St. Louis’ Graduate Fellows Program in Public Affairs. 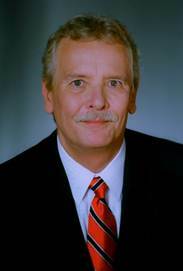 He is past president of the St. Louis chapter of the International Association of Business Communicators and has served on numerous boards, including the Journalism Foundation of Metropolitan St. Louis. Please visit the links on this page to learn more about Grandone Public Relations & Strategic Counsel.